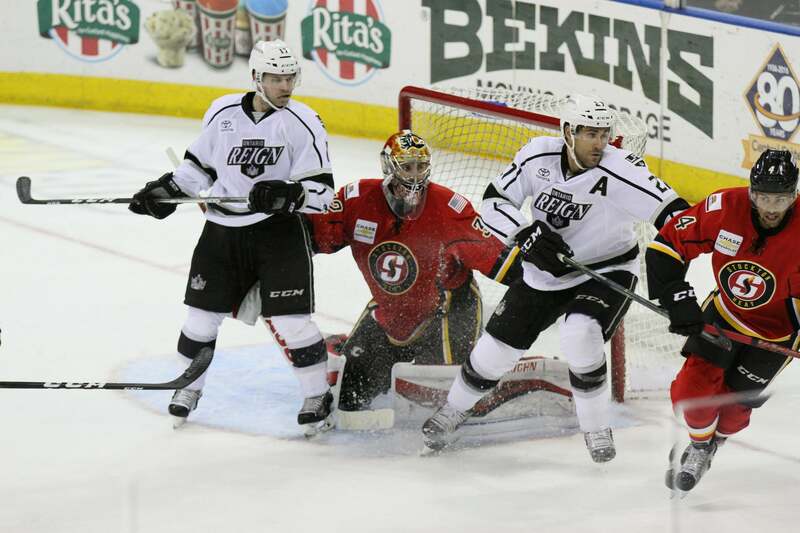 Ontario, CA – The Ontario Reign, proud American Hockey League (AHL) affiliate of the Los Angeles Kings of the National Hockey League (NHL), host the Stockton Heat tonight at 7:00 p.m. PT at Citizens Business Bank Arena. Tonight is the first of eight meetings between the two clubs this season. The Reign are 5-1-0-1 in their last seven games. Reign forward Jamie Devane skated in 43 games with Stockton last season scoring 13 points (four goals, nine assists). In seven games vs. Ontario, Devane picked up two assists and 13 penalty minutes. The Reign are back home at Citizens Business Bank Arena tonight through December 1 to host Stockton, San Jose (Friday), San Antonio (Sunday) and San Diego (Dec. 1) before going on the road for a five-game, 13-day journey through Arizona (Tucson) and Texas (Texas and San Antonio). Forward Andrew Mangiapane leads the Heat and is tied for second in the AHL with 21 points (10 goals, 11 assists), has two goals and three assists in his last three games and currently holds the longest assist streak in the AHL this season (eight games, 10 assists, Oct. 7-28). Netminder David Rittich is seventh in the league with a 2.17 goals-against average. The Heat enter tonight’s contest on a three-game winning streak and have four wins over their last five games. Heat forward Garnet Hathaway is currently riding a three-game point streak (three goals, two assists). Marek Hrivik is also on a three-game point stretch with one goal and four assists. Morgan Klimchuck has goals is three straight contests. The Ontario Reign take on the San Jose Barracuda on Friday, November 24 at 7:00 p.m. at Citizens Bank Arena. Grab some buds and enjoy $2 Bud Light Friday! Grab a ticket, hot dog and soda starting at $25 with NO FEES with a Reign Power Play Pack at OntarioReign.com!